Back Row – Boy Standing: Unknown. 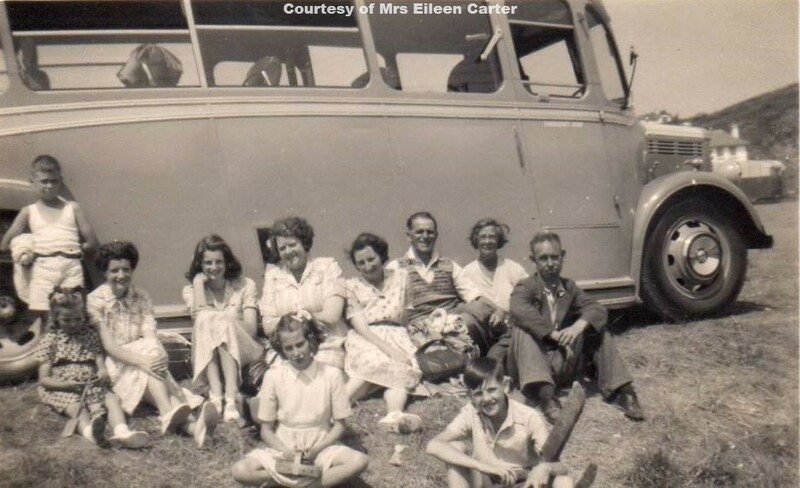 Back Row – Sitting: Unknown, Joan Carter, Pat Carter, Gladys Carter, Unknown, Arthur Grubb, Estelle Bodilly & Mickey Northcott. Front Row: Unknown, Barry Carter.